L2S » Articles » Search Engine Optimization » AMP is the new Mobile Friendly. AMP is the new Mobile Friendly. 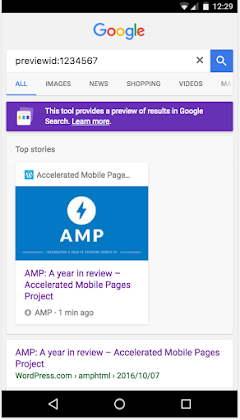 Accelerated Mobile Pages (AMP) is here to help make your website accessible in a quick way. By making your website an Accelerated Mobile Page, you can make the content on your website load quicker for mobile devices around the world. Not all AMP pages are created equal, and to help that issue, Google has helped us with a tool in their Search Console. It has an enhanced AMP testing tool. 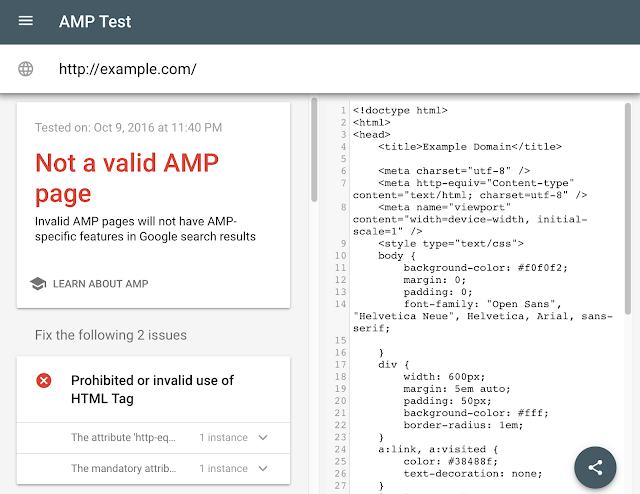 Use this testing tool to analyze the AMP page with the real Googlebot. The tool tests the validity of the AMP markup as well as any structured data on the page. It will discover issues, show you the details and highlight the source-code that needs fixing. For valid AMP pages, we may also provide a link to a live preview of how this page may appear in Google’s search results. By using this tool on your website, you can find issues that you or your website designer needs to fix. The tool includes a share button and gives you the power to fix issues quickly by showing exactly what you see. Just click the share button and pass on the URL for this test snapshot. This share feature is now also available in the mobile-friendly testing tool. By using this tool, we hope to fix your website to become more AMP friendly.